Taking over the C-suite- 2019’s new leaders: The Chief Data Officer, Chief AI Officer, Chief Innovation Officer and Chief Growth Officer. The leading research firm also predict that by 2021, ‘the office of the CDO will be as mission critical as finance, human resources and other support services’. The Chief Data Officer in 2019 will continue to define and exercise the organisational benefits of their hybrid-role. Research affirms this. 86% of CDO’s in a recent survey cited “defining data and analytics strategy for the organization” as their number one priority, with 71% of respondents are consulted as thought leaders on emerging digital models. In the hurtling pace of digitalisation, this knowledge will be key. According to New Partners, 34% of CDO’s cite their professional background experience as ‘external change agents’. AI is set to go even more stratospheric in 2019. Businesses who wish to drive profitability, engage and improve customer experiences and reduce costs are looking increasingly to Artificial Intelligence to create these opportunities. But how will it affect your business growth goals to not rely on your Chief Technology Officer or Chief Information Officer? Andrew Ng, an AI expert, argues that this new role requires someone “with the business expertise to take this shiny new technology and contextualize it for your business.” CTO’s and CIO’s are engineers and not A.I. specialists. A CAIO will be someone with an infinite knowledge of the ever expanding and changing technology, someone who is academically knowledgeable and informed about AI. 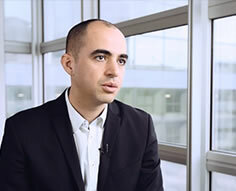 What is more is that a good CAIO lends much needed fresh perspective in the C-suite about how the technology aligns with business processes and the not so comfortable reality of how AI can be mobilised unethically. Enterprises who have this in-house expert are on the rise. According to a survey by Teradata, the renowned data analytics firm, 61% of business respondents said they planned to hire a Chief AI Officer in the future. With industry spending set to reach $3.8 Trillion in 2019, this comes as no surprise. Some critics of this role in the C-suite are openly aghast at the idea of the Chief Innovation Officer. George Bradt writing for Forbes magazine argued that the introduction of the CIO means the death of collective innovation: “If one person is in charge of innovation, everyone else are not. Everyone is responsible for innovating, creating and leading”. However, at the helm of large companies, the efforts to innovate and disrupt current proceedings can lack clarity and a proper agenda. 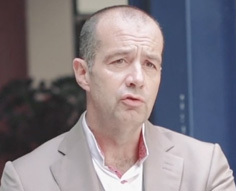 According to Alessandro Di Fiore, the founder and CEO of the European Centre for Strategic Innovation (ECSI) businesses can foster “an environment hostile to innovation” as processes and metrics “are optimised to relatively short-term goals that are anchored in what they are currently doing or selling rather than in what they could be doing differently”. But what are CIO’s doing to garner results and keep everyone happy? The CIO’s role must keep apace of developing digital innovation and put intelligent and driven programmes to work. After all, in the digital age the new adage is ‘disrupt or be disrupted’. The benefits of the CGO taking a seat at the table are incredibly appetising and include “increased agility, enhanced impact of investment, governance and resilience”. With global conglomerates like Coca Cola and Kellogg’s getting behind this trend, it seems that recognition of the importance of the CGO will continue to grow at C-level. DiliTrust Exec is a digital board portal which allows your board of directors and executive committees to streamline meetings and facilitates the secure sharing of confidential data. Contact our team today to see what our solutions can do for you.